15 Health Benefits of Eating Fish, According to Science (+5 Delicious Fish Recipes) - The Maghreb Times ! This article will look at 15 scientifically proven health benefits of consuming fish. In addition, the article will present five delicious and healthy fish recipes that readers can make for themselves, their families, and friends. Fish is one of the best sources of vitamin D, and studies have shown that a deficiency in this nutrient results in low mineral density in the bones, as well as osteopenia, and osteoporosis (2). In addition, it is common knowledge that a deficiency in vitamin D will lead to rickets in young children (2). Studies have shown that vitamin D plays an integral role in regulating the levels of calcium in the body (2). Thus, the vitamin is critical in maintaining homeostasis between the mineral levels and skeletal requirements. In addition, it helps promote the integrity of the skeletal system. Studies have also indicated that vitamin D activates bone resorption, which is critical for the creation of new bones as well as the remodeling of older bones (2). Deficiency in vitamin D leads to an increase in the risk of fracture and osteoporosis especially in elderly women (2). Scientists have also concluded that healthy levels of vitamin D help to improve periodontal health by increasing the mineral density of the bones in the mandible (2). The vitamin helps prevent periodontal disease. In addition, scientists have found that the vitamin has anti-inflammatory and antibiotic properties, which inhibit the growth of pathogens and inflammatory agents in the mouth (2). Fish is also a rich source of omega 3 fatty acids, and numerous scientific studies have shown that a deficiency in these nutrients is a risk factor for low bone mineral density (3). In addition, research shows that an increase in omega 3 intake can help support skeletal integrity in the elderly, as well as reduce the risk of fractures and osteoporosis. Fish is also an important source of lysine, an amino acid, which studies show contributes to higher bone mineral density (4). In addition, there is conclusive research that proves the amino acid helps to lower the risk of osteopenia and osteoporosis in the elderly. Fish is also one of the best sources of both selenium and iodine, and research has shown that a deficiency in both minerals results in disrupted bone and cartilage growth (5). Bottom Line: Fish contain selenium, vitamin D, iodine, amino acids, and omega 3 fatty acids that play a role in promoting healthy bones and teeth. Fish contains significant amounts of vitamin D, and studies have shown that the secosteroid has important immunoregulatory properties (6). Vitamin D activates monocytes in the body, as well as regulates the release of antimicrobial agents (6). Vitamin D is also critical in the prevention and management of tuberculosis, as studies have found that the vitamin is an efficient treatment for TB (2). Studies have also shown that individuals suffering from the disease have low reserves of vitamin D.
Omega 3 fatty acids are abundantly present in most types of fish, and studies show that increased intake of these nutrients while pregnant or breastfeeding helps to protect the children from allergies (7). In addition, increased maternal intake of these fatty acids during pregnancy stimulates the production of antigens and T-cells in fetuses, thereby boosting their immunity (8). Fish also contain high amounts of selenium, and studies have shown that the mineral is essential for proper immune function, and its deficiency is positively correlated to lower immunity (9). Fish also contain the amino acid, lysine, which studies have shown can help combat the herpes simplex virus, and the cold sores associated with the disease (10). In addition, studies have shown that lysine can help prevent immunosuppression in athletes who engage in high-intense physical exercise (10). Fish is a prominent source of iodine, and scientific research indicates that the nutrient works alongside the white cells to deactivate bacteria (11). Several studies have also concluded that a deficiency in iodine predisposes individuals to lower immunity (11). Studies indicate that a high dietary intake of iodine leads to a significant enhancement of the immune system (12). Bottom Line: Fish contain selenium, lysine, iodine, vitamin D, and omega 3 fatty acids, all of which have specific roles to play in enhancing the body’s immune system. Fish has high levels of vitamin D, and research has shown that the vitamin plays an integral role in the development of the brain, as well as the organ’s proper functioning (2). Vitamin D has a direct effect on motor skills and control, learning, behavior, and memory. Studies have also shown that the vitamin is usually insufficient in individuals suffering from cognitive diseases such as Alzheimer’s and dementia, indicating that the nutrient can help protect against these age-related diseases (6). Research has shown that the omega 3 fatty acids found in large quantities in fish are essential in the prevention of age-related cognitive diseases such as Alzheimer’s, dementia, and ADHD (3, 7, 13). Studies have also shown that an increase in dietary intake of omega 3 fatty acids helped improve motor function in individuals suffering from Huntington’s disease (3). The acids also promote improved behavior, reading, spelling, and reading in children who suffer from developmental coordination disorder (3). Selenium is another major nutrient found in majority of fish varieties, and its deficiency in humans contributes to cognitive decline (9). Scientists have also found that lysine, an essential amino acid found in fish, could help in the prevention of Alzheimer’s (14). Bottom Line: Fish contain several nutrients such as lysine, vitamin D, and selenium that play an active role in promoting healthy cognitive function, and preventing cognitive diseases. Fish has a significant amount of vitamin D, and studies have shown that a deficiency in the vitamin leads to glucose intolerance, which is a pre-stage of diabetes (2). Studies have also shown that an increase in intake of vitamin D significantly reduces the risk of both type I and type II diabetes (2). Furthermore, studies indicate that there is a strong link between early life exposure to vitamin D, and the risk of developing type I diabetes in later life (6). Moreover, vitamin D deficiency is highly correlated to the risk factors of diabetes including defective pancreatic function, systemic inflammation, and insulin sensitivity (6). Several animal and human studies have indicated that omega 3 fatty acids, major nutrients found in fish, helped improve and control diabetic symptoms by improving insulin function (3). In addition, studies show that the acids reduce insulin resistance in diabetic patients, as well as well as promote insulin tolerance. Furthermore, fish contain the amino acid lysine, and scientific breakthroughs have been able to show that the amino acid can help prevent and treat diabetic nephropathy (15). Diabetic nephropathy is a diabetes complication that is the main cause of end stage renal diseases across the world (15). Bottom Line: Fish contain a variety of nutrients that can help in the prevention and management of diabetes. Scientific evidence suggests that a deficiency in vitamin D leads to the increase in risk of cardiovascular diseases by allowing the development of coronary risk factors (16). The research has also shown that deficiency in the vitamin predisposes individuals to a number of cardiovascular related issues that include chronic vascular inflammation, hypertension, metabolic syndrome, coronary artery calcification, and congestive heart failure (6, 17). In addition, scientists have found that vitamin D helps reduce blood pressure in individuals suffering from hypertension (2). Fish also contain Omega 3 fatty acids, and multiple scientific studies have demonstrated that these acids are critical in promoting healthy cardiovascular function (3). These acids have anti-inflammatory as well as anti-oxidant properties, which helps prevent the pathogenesis of cardiovascular diseases (3, 7, 18). In addition, the omega 3 fatty acids have been linked to a reduction in risk for recurrent coronary events and sudden death after a coronary event (7). Furthermore, the nutrients are known to prevent atherosclerosis and peripheral arterial disease, which are also risk factors for cardiovascular diseases (7). Omega 3 fatty acids also have hypolipidemic effects, and studies show that the nutrients of increasing HDL cholesterol but lowering LDL and triglyceride cholesterol concentrations (3, 18). Studies have also conclusively shown that the omega 3 fatty acids possess antithrombotic, and antiarrhythmic properties, which reduce risk factors for cardiovascular diseases (3). In addition, the nutrients can help lower blood pressure in individuals suffering from hypertension (3, 18). Research also shows that the fatty acids help improve the health status of patients suffering from metabolic syndrome, which is one of the main causes of morbidity involving cardiovascular events (3). Bottom Line: Fish contain omega 3, and vitamin D, which play several roles in promoting cardiovascular health, and preventing the development of risk factors for the disease. Studies have shown that a deficiency in vitamin D, one of the main nutrients found in fish, is a significant risk factor for cancer (2). In particular, research has shown that vitamin D inhibits the growth of malignant cells, as well as stimulates their death (2). Research indicates that a deficiency in the vitamin is a primary risk factor for the development of colon, breast, prostate, and ovarian cancers (2, 6). Fish is one of the best sources of omega 3, and studies have shown that the nutrient helps delay the onset of cancerous tumors, as well as decrease the size, rate of growth, and the number of tumors present in the body (18). Furthermore, studies indicate that a higher intake of these fatty acids through increased fish consumption can reduce the risk of colorectal cancer (3). In addition, fish contain selenium, and studies have indicated that the mineral can play a protective role against lung, bladder, prostate, and colorectal cancers (9). selenium deficiency has been highly linked to increased risk for several cancers that include prostate, pulmonary, colonic, and gastric cancers (19). Fish is also one of the best sources of iodine, and a deficiency of this nutrient is the main risk factor for thyroid cancer in individuals (20). In addition, studies show that iodine deficiency often leads to fibrocystic breast disease in women, which if left untreated, can develop into full blown breast cancer (20). Iodine deficiency can also contribute to stomach cancer because the stomach will be unable to produce enough hydrochloric acid (20). Bottom Line: Fish contain several nutrients that help reduce the risk of certain cancers, as well as delay their onset. Fish contain omega 3 fatty acids, which are responsible for promoting proper fetal development during pregnancy (7). Studies have shown that the acids are essential in the proper development of the brain and retina of the fetus. Research has shown that children whose mothers had high dietary intake of omega 3 while pregnant had better motor and problem solving skills at the age of 9 months compared to children whose mothers had insufficient levels of omega 3 during pregnancy (7). Studies have also shown that an increase in omega 3 intake during pregnancies results in longer gestation periods, which leads to normal deliveries and normal babies (7). Furthermore, studies undertaken on brains of premature babies indicate low omega 3 levels compared to full term babies (3). Premature babies often have smaller volumes of white and gray matter compared to full term babies, which may explain the developmental challenges and abnormalities that some of these children face. In addition, studies have shown that an imbalance in these fatty acids during pregnancy can result in an increased likelihood that the offspring will develop an immune disease or allergy later in life (21). Scientific research also indicates that higher intake of omega 3 fatty acids through consumption of fish leads to higher and healthier birth weights of babies (21). Furthermore, studies have also shown that a higher dietary intake of the fatty acids during pregnancies can lower the risk of women developing preeclampsia and hypertension during pregnancy (21). In addition, the fetal brain requires the omega 3 fatty acids to properly develop (3, 21). Studies have shown that fetal requirements for omega 3 increase to 67 mg/day during the third trimester. Several studies concur that a low maternal intake of omega 3 fatty acids during pregnancy can result in poor cognitive development in the offspring, which is a precursor to mood and attention disorders in the future (3, 21). Selenium is also abundantly found in fish, and research has shown that a deficiency in the mineral during early pregnancy could result in low birth weight (19). In addition, studies have shown that a selenium deficiency in the pregnant woman can lead to problems with gestation, can cause damage to the immune and nervous system of the fetus, and can also result in miscarriages (19). Fish is also one of the best dietary sources of iodine, and research proves that iodine is essential for proper brain development in fetuses, as well as for the prevention of mental retardation, and brain damage in children (22). Evidence shows that the fetuses of pregnant women with severe iodine deficiency usually die in the womb, or one week after birth (22). Studies also indicate that higher intake of maternal vitamin D enhances brain development in the fetus, and guarantees proper mental function as the child grows up (2). Bottom Line: Fish contains several nutrients that are important for healthy pregnancies and healthier outcomes. One of the main nutrients found in fish is vitamin D, and studies have shown that a deficiency in the vitamin during the winter months results in winter depression, otherwise known as seasonal affective disorder (2). Studies have also shown that the vitamin has a positive effect on moods even during other seasons other than winter (2). Several studies have indicated that a deficiency in omega 3 fatty acids, one of the main nutrients found in fish, is responsible for depression in women during and after pregnancy (21). Research has shown that people, especially women, who consumed more fish per week, were less likely to develop depression and related symptoms (21). Scientific studies have also shown that individuals suffering from major depressive disorder have low levels of omega 3 fatty acids in the brain, indicating these nutrients may have a protective effect against the disorder (23). Other studies have indicated that the omega 3 fatty acids can help improve patients that suffer from bipolar disorders as well as depression (3). In addition, research shows that the acids are critical in the prevention of excess aggression in young adults (3). Fish also contain significant amounts of selenium, and comprehensive research has shown that the mineral can help improve mood, and reduce anxiety (24). Bottom Line: Fish contain several nutrients that have a direct role in regulating moods, and preventing mood disorders such as major depressive disorder, anxiety, depression, and bipolar disorders. Fish are an abundant source of omega 3 fatty acids, and numerous studies have shown that regular consumption of these nutrients can help prevent wheezing, as well as the risk of developing asthma (25). Other studies have shown that an increase in the dietary intake of omega 3 fatty acids leads to better outcomes such as decreased inflammation in individuals suffering from chronic obstructive airway disease (3). Fish also contain selenium, and several promising studies have indicated that the mineral plays an integral part in inhibiting the pathogenesis of asthma (26). In addition, several studies have shown that individuals suffering from allergic asthma have low levels of selenium, indicating that its absence increases the risk of developing the respiratory condition (27). Fish contain significant amounts of the amino acid, lysine, and studies show that the nutrient helps prevent respiratory morbidity (28). Bottom Line: Fish contain lysine, selenium, and omega 3 fatty acids that help respiratory diseases such as asthma. An increase in intake of the omega 3 fatty acids found in fish has been found to reduce the risk of individuals becoming afflicted with age-related macular degeneration (3). Clinical studies have also shown that treatment with omega 3 fatty acids can help improve the outcomes of patients suffering from major eye diseases such as retinitis pigmentosa (3). Furthermore, scientific evidence has shown that women who consumed more omega 3 fatty acids through their diets had significantly lower chances of developing dry eye syndrome (3). Fish is an excellent source of vitamin D, and numerous studies indicate that a deficiency in the vitamin diminishes ocular wellness, as well as promoting the development of age-related macular degeneration, diabetic retina, as well as dry eye syndrome (29). Fish is also rich in selenium, which studies show helps reduce ocular involvement/ Graves’ orbitopathy in individuals suffering from Graves’ disease (30). Bottom Line: Fish contain vitamin D, omega 3 fatty acids, as well as selenium, which are important in maintaining eye health, and preventing common eye diseases. Fish is the best dietary source of vitamin D, and comprehensive scientific studies have demonstrated that a deficiency in the vitamin results in poor quality of sleep, including in pregnant women (31). Studies have also shown that a deficiency in vitamin D can result in excessive daytime sleepiness, as well as obstructive sleep apnea, and that increase in dietary intake of the vitamin helped to treat these sleep disorders (32). Studies have also shown that a deficiency in vitamin D is highly correlated to Restless Leg Syndrome, which significantly affects the quality of sleep (33). Bottom Line: Fish is an excellent source of vitamin D, which scientists have proven is important for quality sleep. Studies have shown that multiple sclerosis, an autoimmune disease is prevalent in individuals who have a deficiency in vitamin D, one of the major nutrients found in fish (2, 6). Thus, scientists have begun using the vitamin to treat the autoimmune disease. Studies have also indicated that the vitamin can help prevent the autoimmune disease. Scientists have also discovered that the vitamin can be effective in preventing and managing rheumatoid arthritis, another autoimmune disease (2, 6). This is because the vitamin is capable of suppressing unwarranted immune action. Studies show that the vitamin’s ability to suppress immune functions can also reduce the risk of other autoimmune diseases such as type I diabetes mellitus, inflammatory bowel disease, and lupus erythematosus (6). Fish is one of the best sources of omega 3 fatty acids, and owing to their anti-inflammatory properties, they can help prevent autoimmune diseases such as arthritis, psoriasis, and ulcerative colitis (3). The acids are also effective pain relievers when it comes to rheumatoid arthritis (3). Fish is also a rich source of selenium, and numerous studies indicate that the mineral is essential in averting the risk of thyroid disease, another major autoimmune disorder (9). 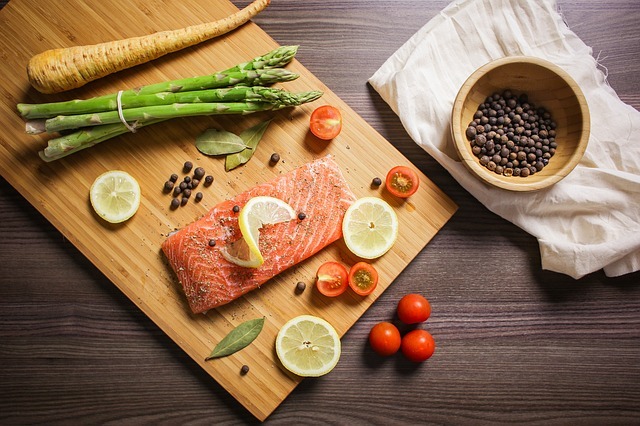 Bottom Line: Fish contain selenium, vitamin D, and omega 3 fatty acids, which play critical roles in the prevention and management of autoimmune disorders. Owing to its high content of vitamin D, fish is essential in promoting proper muscle health and performance (2, 6, 34). Studies have shown that an increase in vitamin D significantly reduces muscle inflammation, as well as pain, especially in athletes, and helps to improve physical performance (6). In addition, numerous scientific studies point to the fact that a deficiency in vitamin D results in muscle weakness (2). Fish contains high levels of omega 3 fatty acids, which have anti-inflammatory properties (35). This property enables these acids to reduce exercise-induced inflammation, as well as enhance physical performance. Fish also contain the amino acid, lysine, which studies show is important when it comes to improving athletic performance (36). Scientific research has also demonstrated that the amino acid can help increase muscle mass (10). Bottom Line: Fish contain lysine, fatty acids, and vitamin D, all of which contribute to healthy muscles and improved physical performance. Fish contain significant amounts of omega 3 fatty acids, and studies show that these acids can help reduce cholesterol, glucose, and insulin levels of individuals with obesity (3). These actions can help reduce the risk of complications that arise as a result of obesity. In addition, fish contain selenium, and studies show that a deficiency in this essential nutrient results in an excessive risk for obesity in children (37). Studies have also conclusively shown that obese individuals have a significantly low level of serum concentrations of vitamin D (38). This indicates that the nutrient, which is found in significant amounts in fish, can help in preventing obesity, and that its deficiency increases risk of obesity. Fish is also rich in iodine, and studies have shown that a deficiency in the mineral results in hypothyroid, whose major symptom is exacerbated weight gain (39). The condition slows down your body’s metabolism, diminishing the body’s efforts to burn fat effectively. Bottom Line: Fish contain selenium, omega 3 fatty acids, iodine, and vitamin D, which help promote weight loss and prevent obesity. Fish contain the amino acids, methionine and lysine, which have essential functions in hair growth (40). Methionine helps to build hair, while lysine determines the volume and shape of the hair. Studies have also shown that selenium, a major nutrient found in fish, is essential in maintaining hair health, and its deficiency can result in hair loss as well as pseudo albinism (40). Scientific research also points to the fact that vitamin D, an important nutrient found in fish, plays an essential role in the hair cycle, and that it will prove effective in the treatment of hair disorders (40, 41). Studies have demonstrated that omega 3 fatty acids are also important for hair growth and health especially in menopausal women (40). They provide a protective coat over the hair follicles, thus preventing any damage. Research has shown that a deficiency in these nutrients diminishes the hydration of the hair, and exacerbates hair loss. Fish is also a rich source of iodine, and studies show that a deficiency in the nutrient causes thyroid disorders such as hypothyroidism, which then leads to significant hair loss (42). Bottom Line: Fish contain several nutrients including iodine, lysine, and omega 3 fatty acids that enhance hair growth and help prevent hair loss. The following are some tasty and healthy fish recipes that you can prepare for you, your family, and your friends. The red snapper is low in saturated fat and calories, but high in fiber and omega 3 fatty acids (43). In addition, it is a great recipe for individuals suffering from diabetes. This recipe is enough to feed four individuals. Put olive oil in a large skillet over medium heat, and allow it to get hot. Once hot add the garlic clove, bell pepper, and the chopped onion. Let them cook until they become tender. Add the tomatoes, Worcestershire sauce, vinegar, basil, salt, black pepper, and hot sauce. Mix thoroughly and allow to cook until the tomatoes are tender and easily mashed. Now add the fillets carefully and remember to space them out evenly on the large skillet. Spoon the tomato mixture over each fillet. Reduce the heat and cover the fillet for at least 10 to 12 minutes. By this time, the fillet should flake with ease when you use a fork to test their readiness. Serve immediately once ready. This is another low fat and calorie recipe with high quantities of the healthy omega 3 fatty acids (44). The recipe produces 6 portions of food. If you do not have salmon, you can still use cod, turbot, or halibut fillet. When selecting the fillet, request for one with a center cut as this will work perfectly with this recipe. Remove the seeds from the lemon, jalapeno, and navel orange. Proceed to cut each of these ingredients into thin slices. Do the same for the fennel bulb. Preheat the oven to 275 degrees Celsius. Put the bulb, orange, jalapeno, dill sprigs, and the lemon slices in an appropriately sized shallow baking dish. pour some salt and black pepper over this mixture. Season the fish fillet with the salt, and place it on top of the jalapeno mixture. Pour the oil on top of the entire mixture, and place the dish inside the heated oven. Let the fish mixture roast until it is tender all through. This should take approximately 40-45 minutes for it to be cooked medium-rare. Once the fish is well cooked, remove the mixture from the oven, and plate the salmon. Break it into big pieces as you plate it. Throw away the dill sprigs, and spoon the jalapeno mixture over the fish. Season with salt and black pepper until desired taste is acquired. Seems like a peculiar name for a recipe but bourbon glazed salmon is a hit with most food enthusiasts, as well as individuals who do not normally consume salmon. The dish is low in sodium but high in omega 3 fatty acids (45). The recipe is also appropriate for individuals following a gluten-free diet. Place the brown sugar, bourbon, soy sauce, ginger, lime juice, and garlic cloves in a large zip bag. Put the fish fillets in the same bag, seal and shake. Let the mixture marinate in the refrigerator for the next 1-2 hours. When the marinating hours are over, heat a large skillet over medium heat. Spray the cooking spray generously on the pan, and add the contents of the zip bag into the skillet. Place each fillet in its own plate, and drizzle some soy sauce on each fillet. Next, sprinkle sesame seeds, and green onions on each plate, and serve with rice. This recipe calls for you to poach fish in milk resulting in an elegant bust of flavor (46). The recipe gives four equal servings. Boil the potatoes in a fitting bowl under medium-low heat. This should take approximately 10-20 minutes. Drain the potatoes leaving at least ¼ cup of the liquid to be used later on. Return the potatoes to the fire, and add 2 tablespoons of the olive oil, and two tablespoons of the cooking liquid. Proceed to mash lightly, and season with pepper and salt. Set aside, but ensure you keep them warm by putting them over low heat until the rest of the meal is ready. Mix the milk, smashed garlic cloves, leeks, and thyme in a saucepan, and pour salt generously over the mixture. Allow the mixture to cook over medium heat for the next ten minutes, or until the leeks begin to soften. Put the cod fillets into this mixture, and poach them until they are tender and flake easily. This should take another ten minutes. Ensure that you reduce the heat to low so that the fillets can cook through. Remove from heat. Put a fillet on its own plate, and divide the leeks and mashed potatoes between the plates. Pour the remaining cooking liquid over the plates. Season with pepper and a dash of oil, and then serve. This butter-basted recipe serves four individuals. You can also use salmon or monkfish steaks if you do not have halibut (47). Pour salt and pepper over the halibut. Put oil in a large skillet, and heat it over high heat. When you notice the smoke emanating from the pan, insert the halibut. Cook each side for approximately 8 minutes, until each side is golden brown. Put in the garlic, sprigs, and butter, and allow to cook alongside the fish. Tilt the pan slightly and begin spooning the butter onto the fish. You should continue to do this over high heat until the butter turns brown and the fish is slightly opaque. Next, add the capers, and let them get warm all through. Remove from fire, plate and serve.